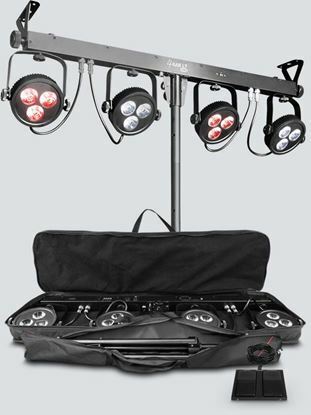 4BAR LT USB is a complete wash lighting system with D-Fi USB compatibility for wireless Master/Slave or DMX control. Four fully adjustable round pods each with three 9 watt LEDs achieve total room or stage coverage. 4BAR Tri USB is a complete wash lighting solution ﬁtted with high-intensity tri-color (RGB) LEDs that can be controlled wirelessly via the included footswitch or the optional IRC-6 controller (sold separately). It also features D-Fi USB compatibility for wireless master/slave or DMX control. Abyss USB simulates a pleasing multicolored water effect that shines through any environment with or without fog using upgraded, high power LEDs. BOB LED is the market’s leading simulated flame effect light, but generates no heat. 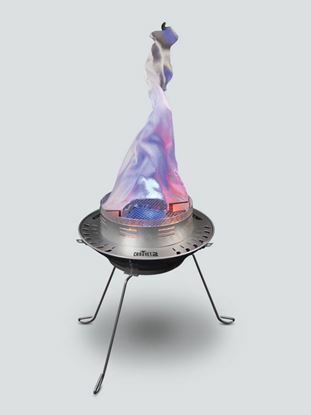 This LED powered, duty-cycle free fixture perfectly simulates a flickering cauldron. BOB LED can either stand on included legs or hang from an included chain. CHAUVET DJ encourages customers to make safety a priority by utilizing the right clamps and cables for their lighting applications. Made of ABS plastic which won’t scuff, scratch or dent truss, the CLP-10 wraps completely around truss for added security and stability and includes removable adaptors to fit different sizes of truss. CHAUVET DJ encourages customers to make safety a priority by utilizing the right clamps and cables for their lighting applications. 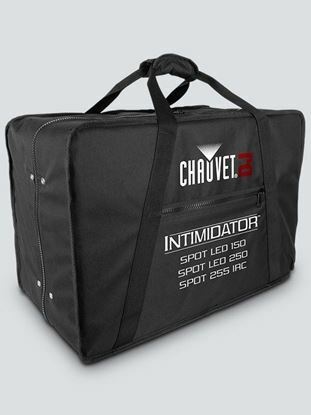 Made of aluminum, a heavy-duty material that lasts for years, the CLP-15 wraps completely around truss for added security and stability. CHAUVET DJ encourages customers to make safety a priority by utilizing the right clamps and cables for their lighting applications. Made of aluminum, a heavy-duty material that lasts for years, the CLP-15N has a narrow design that fits between cross braces with ease and wraps completely around truss for added security and stability.